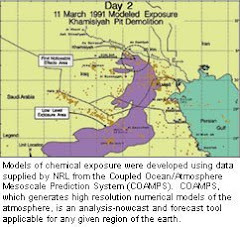 Oct. 15, 2013 — New research illuminates definitive brain alterations in troops with Gulf War Illness (GWI) thought to result from the exposure to neurotoxic chemicals, including sarin gas, during the first Persian Gulf War. 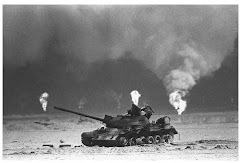 "More than 250,000 troops, or approximately 25% of those deployed during the first Persian Gulf War, have been diagnosed with Gulf War Illness (GWI). Although medical professionals have recognized the chronic and often disabling illness for almost two decades, brain changes that uniquely identify GWI have been elusive until now," explained researcher Bart Rypma, principal investigator at the Center for BrainHealth at The University of Texas at Dallas. "Our results revealed that at the root of cognitive issues in GWI patients are profound working memory deficits that correlate with a unique brain change visible in the fMRI scanner. These results support an empirical link between exposure to neurotoxic chemicals, specifically sarin nerve gas, and cognitive deficits and neurobiological changes in the brain," said Rypma. "Implementing interventions that improve working memory could have positive effects on many aspects of daily life from the ability to complete a shopping list, match names with faces, all the way to elevating mood." "Difficulty remembering has been the most common, unexplained impairment resulting from service in the 1991 Persian Gulf War," said Robert Haley, co-investigator and Chief of Epidemiology at UT Southwestern Medical Center in Dallas. "This functional MRI study provides the first objective evidence showing the exact malfunctions in the brain's memory circuits that underlie these chemically induced memory problems." The new findings may also have implications for the treatment of several disorders involving similar neural systems, including one Alzheimer's disease. "Both GWI and Alzheimer's disease result in profound cognitive impairment and share similar neurochemical underpinnings," explained the study's lead author Nicholas Hubbard. "The distinct neural markers associated with cognitive performance and GWI revealed in our study can be useful for future research to objectively measure the efficacy of treatments for GWI as well as other brain disorders related to the same neurotransmitter system, like Alzheimer's disease."